By combining a senseFly UAV with our I-Site Studio 3D modelling software, customers in the mining industry now have a powerful solution that is driven by survey requirements, as well as the in-depth modelling, change detection and data output requirements demanded by mining professionals. Todd Packebush, Maptek Director of I-Site Sales & Business Development. Under the terms of the agreement, Maptek will begin providing North American customers in mining and aggregates industries with senseFly’s professional mapping and inspection drones (eBee, eBee RTK and albris) alongside its popular I-Site Studio 3D modelling software. 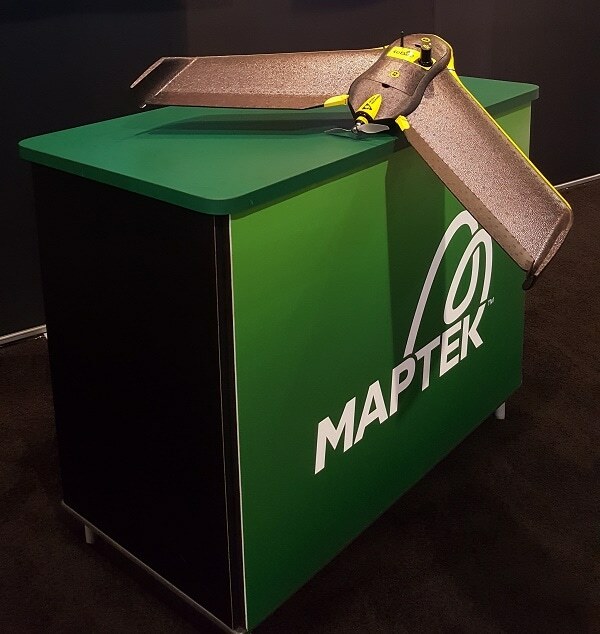 Explore Maptek I-Site Studio & senseFly drone technology at MINExpo Maptek booth 6028. Founded 35 years ago, Maptek™ is a leading provider of innovative software, hardware and services for global mining. Maptek solutions are used at more than 2000 sites in 75 countries, with applications across the mining cycle. Maptek develops industry-leading software Vulcan™, Eureka™, Evolution and BlastLogic™ for mine evaluation, planning, design, scheduling, operation and rehabilitation. I-Site™ is integrated hardware and software for 3D laser scanning, surveying and imaging. The spatial data collected can be used for geotechnical analysis, stockpile measurement, design conformance and movement tracking supported by software systems I-Site Studio, Drive, PerfectDig™ and Sentry. At senseFly we develop and produce aerial imaging drones for professional applications. Safe, ultra-light and easy to use, these highly automated data collection tools are employed by customers around the world in fields such as surveying, agriculture, GIS, industrial inspection, mining and humanitarian aid. senseFly was founded in 2009 by a team of robotics researchers and quickly became the industry leader in mapping drones. Today we continue to lead the way in developing situationally aware systems that help professionals make better decisions. senseFly is the commercial drone subsidiary of Parrot Group, the world leader in consumer drones.